I Reached Chennai Today for My Parents Health Check Up. I'll be in Chennai for a week & Continue my prayers from my Sister's Home in Chennai. 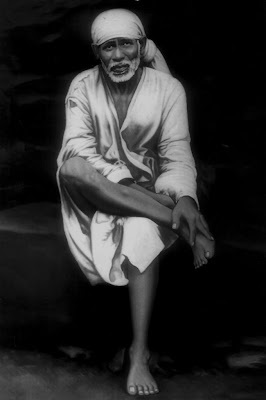 I Successfully Completed 31Days / 1 Month & 4 Guruvar Special Sai Baba Puja Till Now. 32nd Day of 123 Days [74 + 49] & 5th Thursday/Guruwar of 18 [11 + 7] Weeks Special Sri Sai Baba & Maa Saraswati Devi Puja for Children Attending Annual Exams. I Successfully Completed Day # 32 & 5th Thursday/Guruwar Puja with Puja Sankalpam for 322+ Students. I performed Additional Archana for Sri Hayagreeva. I Chanted Sri Vishnu Sahasranamam while performing Abhishekam. I Also Performed Archana to Kala Bhairava & Completed the Puja. I was Able to Spend 2+ Hrs in the Evening to Perform the 32nd Day Prayers at My Sister's Home in Guindy, Chennai. In the Evening by 5pm I Visited Sri Shirdi Sai Baba Mandir at Tiruvanmiyur, Chennai to perform 108 Pradakshina & Dhuni Puja as Part of 5th Week Guruvar/Thursday Puja. This Temple was Crowded with Sai Devotees for Thursday Prayers. Remaining 91 Days & 13 Thursday Special Puja are yet to be Performed.